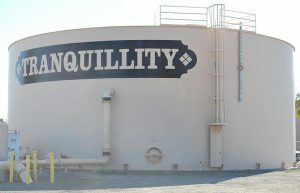 Tranquillity Irrigation District was formed January 22, 1918, as a public agency designed to serve the local community with water and is the second oldest such agency in Fresno County. The District is located in the Central Valley of California, County of Fresno and services the town of Tranquillity and the adjacent farmlands. A Board of Directors elected from the community-at-large governs the District. Further inquiries about the District and its history are encouraged and may be obtained by contacting the District.